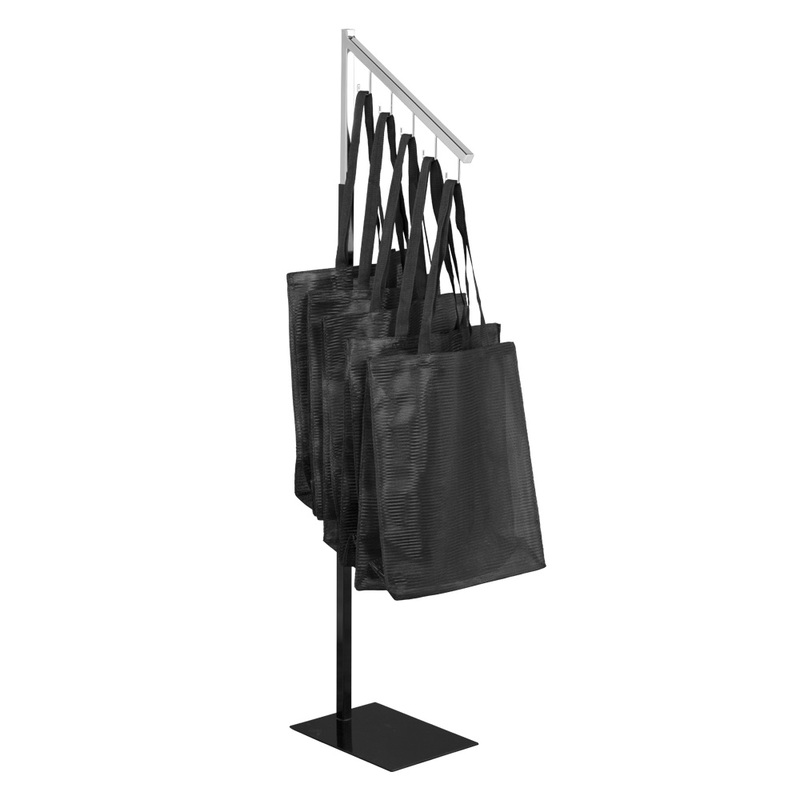 Bag stand keeps bags organized and let your customers shop hands-free. 14 in. x 10 in. base adjusts in 3 in. increments from 46 in. to 73 in. Includes one 16" slant J-hook arm and one 6" mini arm for other display options. Works great for Mesh Shopping Bag #90145 sold separately.